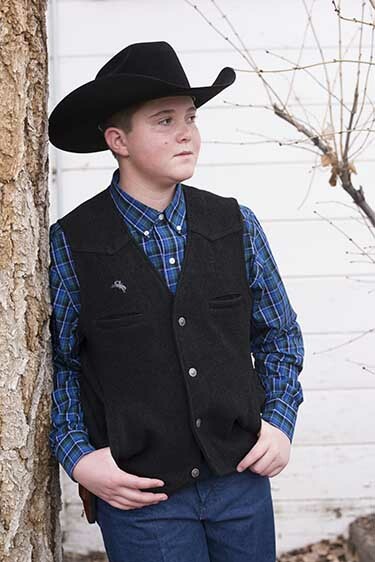 Colt Blankman, a 12-year-old from Avon, Utah, will be performing his own original cowboy poetry and the work of other cowboy poets at 7 p.m. CDT on Thursday, Sept. 13, at the Cultural Heritage Center in Pierre. The program featuring the young cowboy poet will kick off the Dakota Western Heritage Festival, which runs Sept. 14-16 at the Expo Center in Fort Pierre. The foundation is the nonprofit fundraising partner of the South Dakota State Historical Society. Colt started performing cowboy poetry at the age of 8 at the Cache Valley Cowboy Rendezvous kids’ poetry contest. The next year he won that contest with an original poem and was hooked. He has performed at schools, community events, talent shows and cowboy poetry gatherings. He has been invited to perform at the National Cowboy Poet Gathering in Elko, Nev., in 2019. “Colt has become an effective ambassador to youth and has graciously agreed to spend time in the Dakotas, helping the Dakota Western Heritage Festival promote its goal of involving youth in celebrating our heritage,” said Gary Heintz, one of the organizers of the Dakota Western Heritage Festival.